What CWD States Have You Hunted In? You’d think the sky is falling, the earth is crumbling, and the walking dead have risen with the way people are currently behaving. Recent articles deeming whitetails as “zombie deer,” have the uninformed and easily convinced both confused and scared. Should people allow CWD to scare them away from deer hunting? Absolutely not. Should those same people ignore CWD and carelessly handle CWD-positive deer? No again. The right answer — continue to enjoy deer hunting but handle carcasses with care. For those unaware, CWD is caused by an abnormal protein referred to as a prion. Prions are neither alive nor dead. You can’t kill it with heat or chemicals. Once contracted, it is an always-fatal disease that thrives in the nervous system of cervids (deer, elk, reindeer and moose). It can be passed on through saliva, urine, feces, spinal and brain fluids, etc. Similar diseases affect other animals such as Bovine Spongiform Encephalopathy (BSE) which is also referred to as Mad Cow Disease. It’s also found in sheep, known as Scrapie. Interestingly enough, we already know that Creutzfeldt-Jakob Disease (CJD) — a sister disease to BSE and CWD — is capable of infecting humans. CWD has been found in 26 states. That said, in most of those states, CWD is confined to a very small area within them. Matt Ross, a QDMA Biologist who’s spent a lot of time dealing with this disease, has great advice for those who hunt in CWD zones. In an age where we’re already losing hunters, we can’t afford to lose more due to sensationalized and unnecessary reasons. Nick Pinizzotto, CEO of the National Deer Alliance, feels the same way. “We need hunters to help monitor and control the disease,” Pinizzotto said. “While hunters may have to deal with new rules and be a little inconvenienced in some cases, it’s still deer hunting and the excitement level shouldn’t be any less. In areas where CWD is present, what steps should people take to responsibly handle their venison? Is there anything that needs to be done to ensure the diseases isn’t spread? These are the questions we asked Ross. Whether CWD-positive or not, it’s also important to be careful in how you process deer. So far, according to Ross, there isn’t any firm data that shows a human has (or can) contract CWD from cervids (deer, elk, etc.). “Currently folks are researching this possibility through a variety of methods and it is generally unknown if there is a risk (there is conflicting evidence in the research),” Ross said. “However, for the time being most scientists believe there is a pretty strong 'species barrier,' which means that it’s unlikely the disease will jump to a new species. There have been some studies that suggested humans could be infected with CWD. However, according to Pinizzotto, that research was neither published nor replicated by other researchers. At the end of the day. You should be aware of CWD. Educate yourself about it. 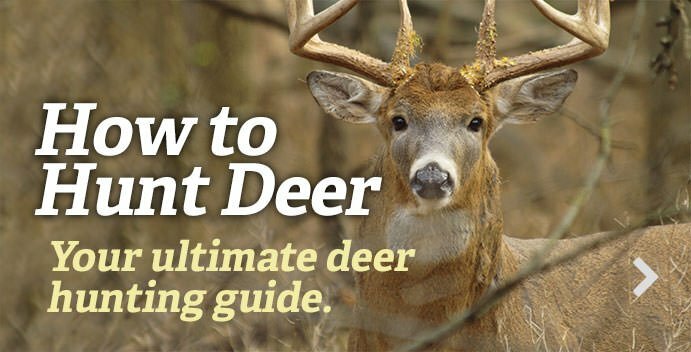 Understand what it truly is and what it means for deer and deer hunting. But don’t fear it. And most certainly don’t allow it to scare you away from our treasured hunting heritage. Don’t Miss: Will CWD Kill Venison?